Despite taunts that “she’s just a girl”, Tzipi Livni emerged from her scrap with the boys in the election sandbox on Tuesday with a stunning personal victory, even if it does not win her the premiership. With the country facing daunting challenges, including a possible military confrontation with Iran, the Israeli electorate gave more votes to Livni, a 50-year-old woman with limited political experience, than it gave to her rivals, including two former prime ministers. Leading analysts were foreseeing the possibility of a rotational government in which Livni and Likud’s Benjamin Netanyahu took turns as prime minister and foreign minister. The clear majority held by a right-wing bloc of parties led by Netanyahu makes it likely that he could form the next government by himself if he so chooses, even though Likud won fewer mandates than Livni’s Kadima Party, but he has said that his major mistake during his previous term in1996 as prime minister was to base his government on a narrow, right-wing coalition. 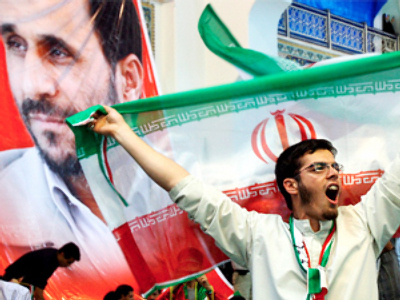 This consideration would be even more relevant now in dealing with a new American administration whose agenda calls for promoting a peace process in the Middle East. The precedent was set for a rotational government in the 1980s when Likud’s Yitzhak Shamir and Labour’s Shimon Peres took turns as prime minister and foreign minister. Although Likud spokesmen dismissed the idea Wednesday, Netanyahu may in the end prove amenable, observers believe. 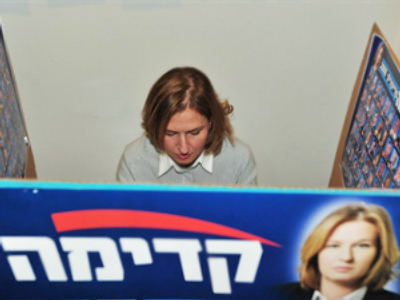 Livni’s showing in the elections was hailed by the newspaper Ha’aretz as “not merely a surprise, but a phenomenon”. The paper noted that her Kadima Party, founded by Ariel Sharon, had been expected to disappear with his departure from the political scene. Nahum Barnea, one of Israel’s leading political writers, wrote in Yediot Achronot that Livni’s showing was “one of the most impressive Israeli politics has known”. Livni’s assertive performance as foreign minister, particularly during last month’s war in Gaza, together with her forceful election campaign gave those who voted for her the feeling that she is capable of leading the nation, even in times of crisis. Livni has been transformed by her proximity to the upper reaches of power since former Prime Minister Ariel Sharon, then Likud’s leader, appointed her as a backbench minister in 2001, just two years after she was elected to the Knesset, a virtual unknown. When Sharon broke from Likud and formed Kadima, he placed her in the number three position on his Knesset list, just behind Ehud Olmert. When Sharon was felled by a coma, there was speculation that she might succeed him but she quickly threw her support to Olmert in order to avoid a squabble. He, in turn, appointed her foreign minister. Following the failed war with Hezbollah in 2006, in which Olmert was a principle culprit, Livni acted both boldly when she publicly called on him to resign, but she did not resign herself, and continued to serve under him when he ignored her call. This deference would fade in the coming years as she gained confidence. Livni watchers could see something new in her face over time, not so much steeliness as determination and self-assurance. “I am myself,” she told a reporter during the campaign. She was born into the heart of the right-wing establishment, the daughter of Eitan Livni who had been operations officer of the pre-state Irgun underground under Menahem Begin, who would become Israel’s first right-wing prime minister in 1977. She served Mossad for several years after her army service and then studied law. Before entering politics, she served as head of the Government Corporations Authority. Livni drew steadily away from her right-wing origins once in office and publicly asserted that Likud’s dream of a Greater Israel had to give way to a two-state solution in which Israel shares the territory between the Mediterranean and the Jordan River with a Palestinian state. This is something which her principal adversary, Benjamin Netanyahu, has never said. During the Gaza War, she adopted an aggressive stance in government debates, pushing for a ground operation and objecting to a “humanitarian cease-fire” which Defense Minister Ehud Barak proposed early in the clash, but she was also a principal advocate of peace talks with the moderate leadership of the Palestinian Authority in the West Bank. During the campaign she proved an articulate candidate and never dodged tough questions. She did not go in for kissing babies, perhaps to avoid looking too “soft”, but she enthusiastically led her running mates in discothèque dancing. There is a precedent in Israel for a female prime minister – Golda Meir, who served in the 1970s, but she only reached that position after decades in the political trenches. Livni was vulnerable to charges that she herself was still too inexperienced for the job. During the election campaign, Likud ran advertisements saying “Too big for her”, suggesting that the task of prime minister was beyond her capabilities. She jumped on the slogan as crass chauvinism, a sentiment shared by many women voters.